Built in 9 sizes with 2 reduction stages and in 8 sizes with 3 reduction stages . Three input types are available : projecting input shaft, pre-engineered motor coupling (bell and joint) and pre-engineered COMPACT motor coupling. (Sizes 56 and 63 excluded). the three input types can be mounted either vertically and/or horizontally. Gear unit casing in aluminium alloy GAlSi9Cu1 UNI7369/3 (56-63), in engineering cast iron, EN GJL 200 UNI EN 1561 (71-180) or spheroidal graphite cast iron EN GJS 400-15 U UNI EN 1563 (200-225), it is ribbed internally and externally to guarantee rigidity. It is machined on all surfaces for easy positioning. The single lubrication chamber guarantees improved heat dissipation and improved lubrication of all the internal components. Gears are built in casehardened compound steel and have undergone case-hardening and quench-hardening treatments. In particular, the first reduction stage consists of two GLEASON spiral bevel gears with precision ground profile, in 16CrNi4 or 18NiCrMo5 UNI7846 case-hardened and quench-hardened steel. The use of high-quality tapered roller bearings on all shafts (except for the input sleeve on the pre-engineered compact motor coupling, which is supported by angular ball bearings) ensures long life and enables very high external radial and axial loads. The standard hollow output shaft made of steel (shrink disc available on request), the option of mounting an output flange on one or both sides and the possibility of mounting a backstop device make these gear units extremely versatile and easy to install. 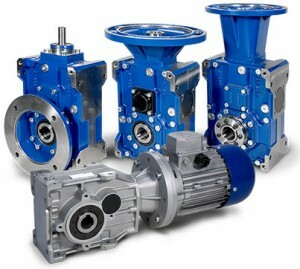 For More information on the Bevel Helical Gearboxes, contact Amiga Engineering Pty Ltd NOW!